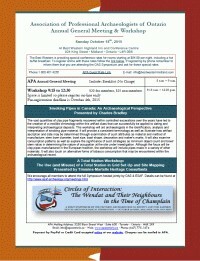 APA AGM & Workshop space is limited. Pre-registration deadline is October 4th, 2015. Please secure your spot early by registering online. your place cannot be reserved.